You may not know Karass yet, but you’ll know their pedigree. A duo of Lukas Wooller of Maximo Park and Matt Swinnerton, formerly of The Rakes, Karass finds them exploring ideas and sounds distinct from their day-jobs, blending motifs from kosmische, French house and ambient electronica into a selection of melodic, grooving tracks. 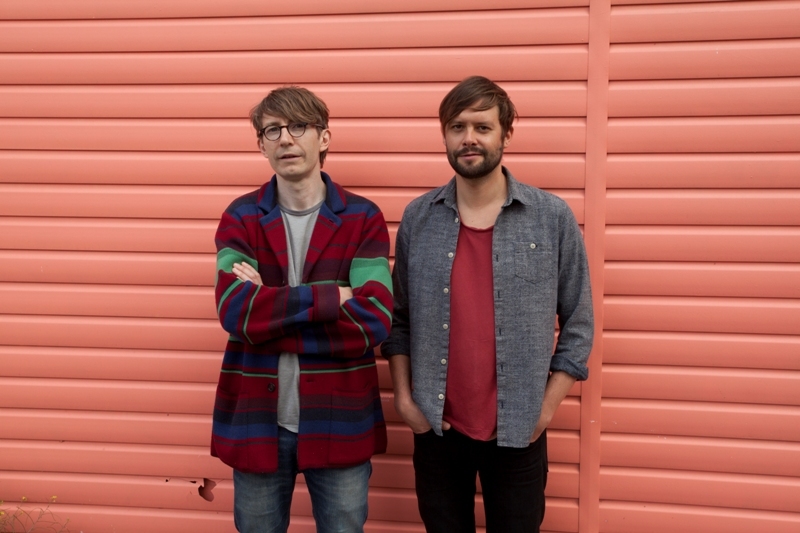 Ahead of the release of their debut album Municipal Dances, Wooller explained the genesis of the project and its inspirations. we both have a similar aesthetic, which is quite poppy and melodic, but we approach it from different places. Municipal Dances is released on Trestle Records on Friday 9th June. Karass play The Cluny supporting Six Organs of Admittance on Wednesday 14th June.